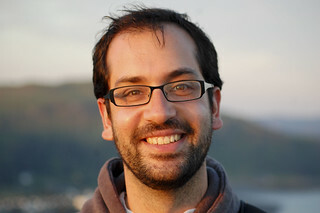 "Many of the tools and communication patterns traditionally found in popular social media are already starting to play a valuable role in the corporate environment; for example for promoting internal and external collaboration, or delivering a more engaging e-learning experience to employees” said Ken Yeadon, Chief Executive of Thematic Networks. “Curverider brings a strong suite of social tools, which, together with its web-based Elgg.com platform, enables Thematic Networks to offer clients a broader range of social publishing and e-learning solutions, deployed either on-site or delivered via the web as a turnkey service." Elgg itself will be developed by a non-profit foundation run by Brett Profitt, who has been acting as lead developer for the past 18 months or so. From the post over on the Elgg site, it sounds like Dave will leave the project, leaving it in the hands of Brett along with Cash Costello, who has long been a prolific contributor. I’m excited to see where they take it. Although I left Curverider and Elgg before he joined, from everything I know, Brett is a safe pair of hands. It’s too early to say what the Foundation will look like, but they’ll certainly be needing donations and supporters. As the post on the Elgg site says, get in touch with Brett at brett@elgg.org if you want to help. There’s also a thread on the Elgg Community over here. 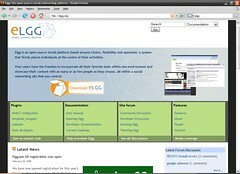 That blast-from-the-past Classic Elgg homepage screenshot was released under a Creative Commons license by Kevin Jarrett.